People like stuff that is free. People like lists of things. Today I am going to put these two things together with the following list of my favourite FOSS (free open source software) applications. 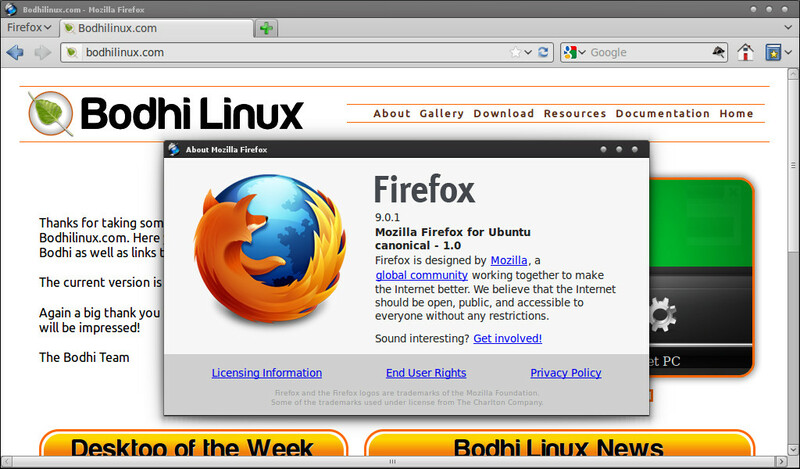 I know Chrome/Chromium have gained a lot of popularity in the past year, but I still like Firefox most as my primary web browser. My two pmain reasons for this are the fact that it generally renders text "nicer" than most webkit-based browsers and the fact that it integrates with most Linux desktops more fully than Chromium does. 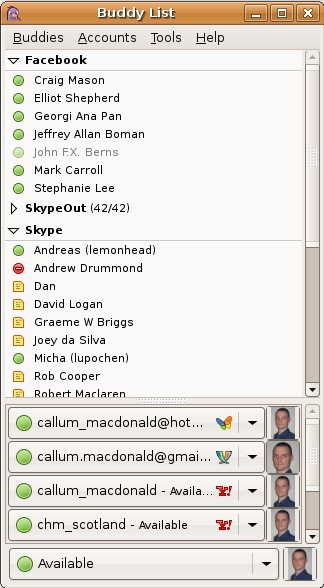 Xchat is a fairly straight forward GTK IRC client. It supports a variety of features, but also is clean enough to simply let me get right into the chat room I want without much configuration. 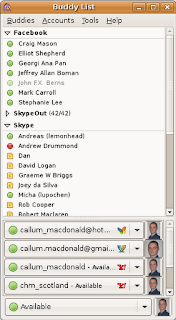 When it was first created it was known as "gaim", but today many know the popular GTK instant messenger client as "Pidgin". Supporting a number of messenger types including AIM, Yahoo, Google Talk, MSN and many others - Pidgin is a very versatile messaging client. 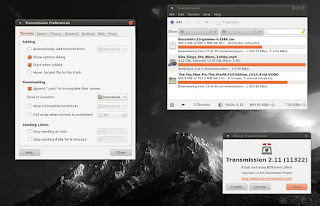 Transmission is fairly light bit torrent client that has both GTK and QT interfaces. 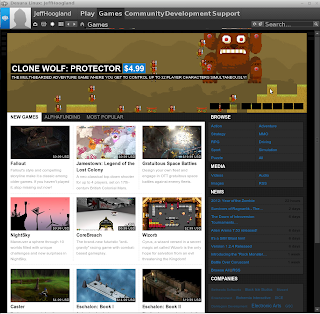 It is stable and fairly feature rich while staying out of the user's way. 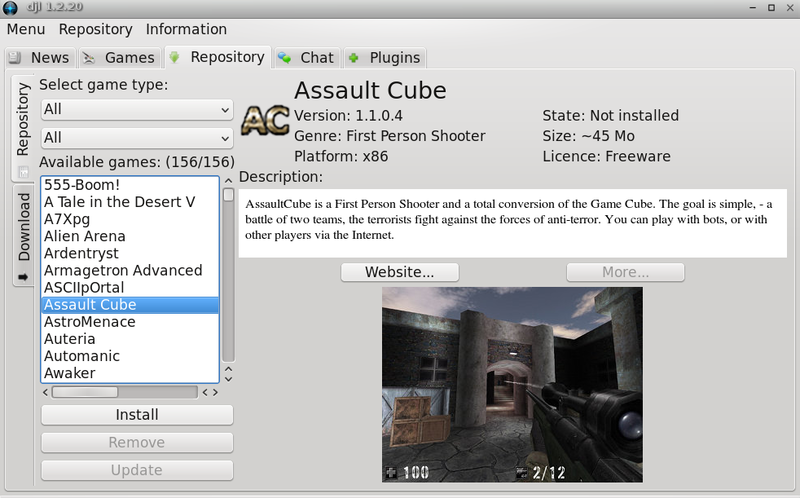 It supports many commonly used torrent features such as setting download/upload speed limits and prioritising downloads. The swiss army knife of FTP clients Filezilla supports many common transfer protocols including FTP, SFTP, FTPS, and FTPES. 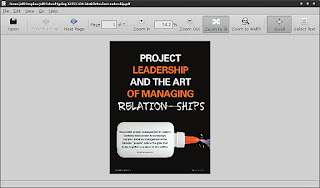 ePDFViewer is a very simple and light weight PDF viewer that utilises the GTK and poppler libraries. 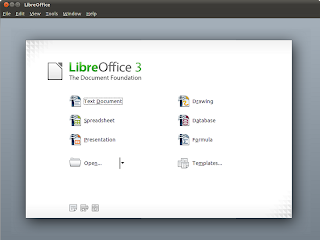 Libre Office is a full featured office suite that provides a word processor, spreadsheet editor, presentation creator and much more. 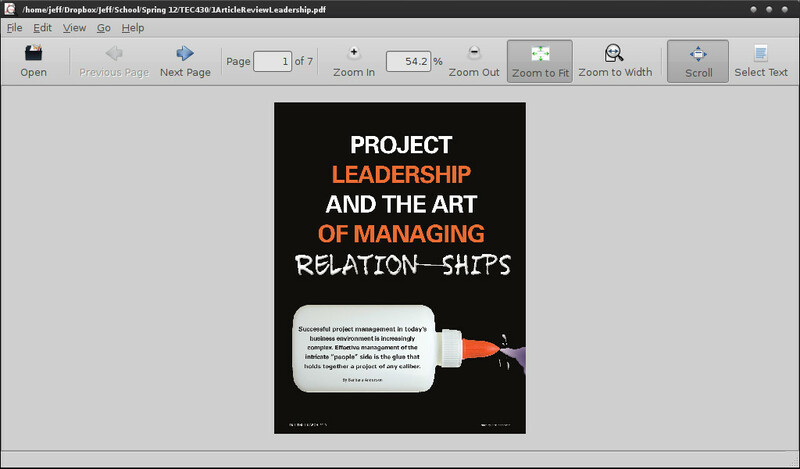 It is written in C++/Java and was forked from OpenOffice.org a little over a year ago. Easily one of the best open source projects to be started in the last couple of years. Openshot is a non-linear video editor that is written in mostly in python and GTK. The interface is clean and generally makes finding whatever function you are looking for fairly easy. Ever have a video DVD you purchased and wanted to backup in case you lose or scratch the disc? Handbrake is the perfect tool for this task. 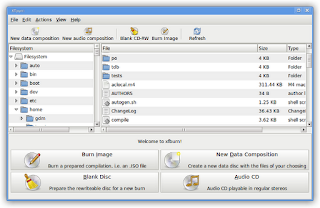 It will simultaneously rip and encode a variety of media formats to a variety of other different media formats. 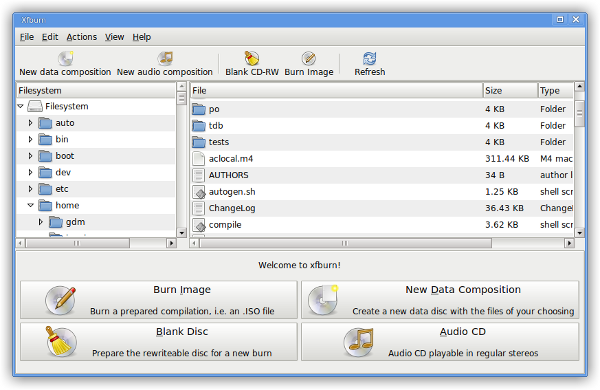 Part of the XFCE software collection XFBurn is a to the point disc burning software based on libburnia. 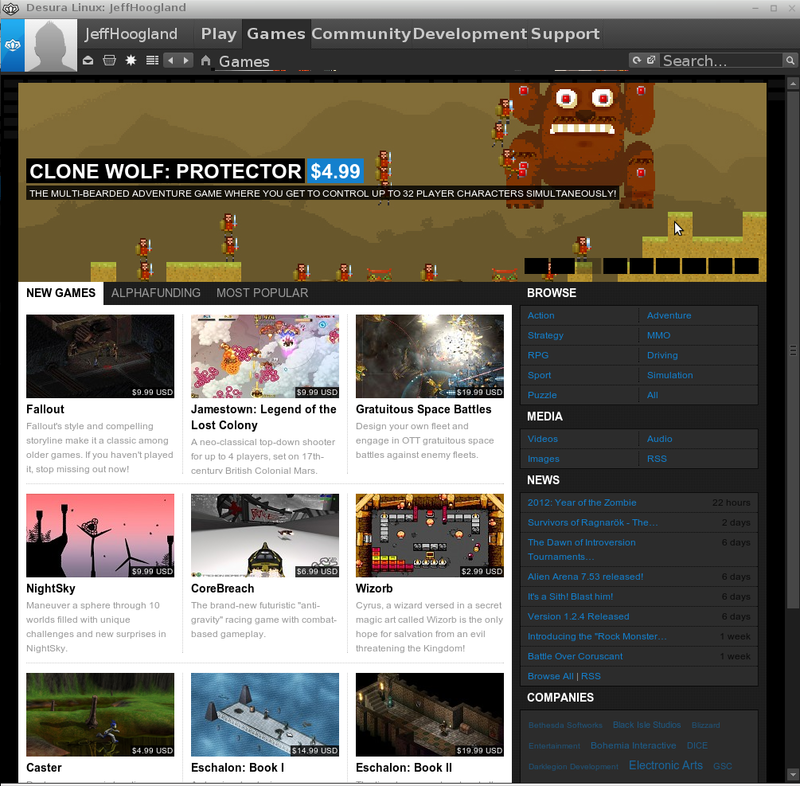 In case you hadn't noticed by now I am a fan of "simple and clean" software and XFBurn is no exception to this rule. 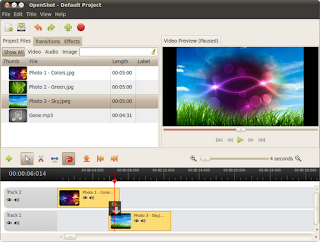 VLC is a multi-media player that is written in QT. It's most valuable asset is the fact that all of it's many multi-media codecs are self contained - meaning it can play nearly any media format right after installation without the need for installing system wide codecs packages. Now, take note that I mention these are my favorite applications - not that they are always the best application for every possible task. Odds are there are others that are just as good (or better) in some situations than the ones I listed. 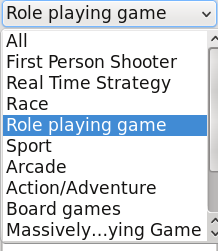 One of the best things about FOSS is the ability to choose what you want to use. So try lots of different software and find which applications work best for you. The Enlightenment developers are busily hacking away as always. There are so many SVN commits to the E repository that it is easy to over look new features if you aren't looking for them. A nifty little module recently made its way into the core of Enlightenment though - its called "Notification". 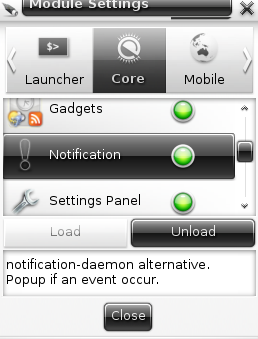 Notification is a native E alternative to other notification daemons such as notify osd. The Notification module should work with all applications that work with other notification daemons such as notify osd. The term "average user" is something you hear thrown around a lot with regards to software. Pro-Linux, on the desktop, people often make claims on why it Linux ready for this "average user" (shoot even I've done it on occasion). There are also those who feel Linux should be pigeon-holed into a server room and on to mobile devices, they will make the exact opposite claim. They say Linux on the desktop isn't ready for this "average user". Who is this "Average User"? I've often been told I am not one of these "average users" because I create and distribute software. Who is then? Is my brother the level designer an "average user"? Is my fiancée the accountant an "average user"? Is my mother the tutor an "average user"? What exactly is the criteria to be in the group of people so many seem to be trying so desperately to make software for? Often hand-in-hand with this idea of an "average user" is the concept of "user friendliness". 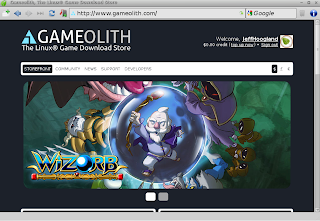 In fact a drive to make our user interfaces even more "user friendly" is what has caused the radical changes in the Gnome desktop (and of course the creation of Unity). From what I can gather, something is only "user friendly" if an "average user" can sit down in front of it and do exactly what they want with zero direction. Where on earth did this idea come from? When you first learned algebra - was it expected to be something you could just "figure out" with no guidance? How about learning a language? Science? History? Why is the standard different for learning software? Actually, I take that last question back. There are lots of classes for learning about software. I've seen classes for learning how to use Windows, Photoshop, Microsoft Office... the list goes on! Are these pieces of software considered "user friendly" and ready for the "average user" even though we offer classes to learn how to use them? Yep. 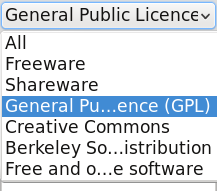 Why is the standard different for Linux then? Some food of thought. Please give me some input on any/all of my questions by dropping a comment below. Today I am happy to announce a more functional release for the Genesi. 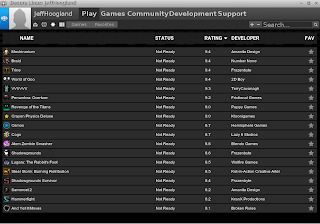 Audio now works and permissions have been sorted out so the normal user can shutdown the system. Beyond these bug fixes this release (and future releases) are coming in an easier install media. We will now be providing two different .img files for the Smartbook, you can find them for download here. 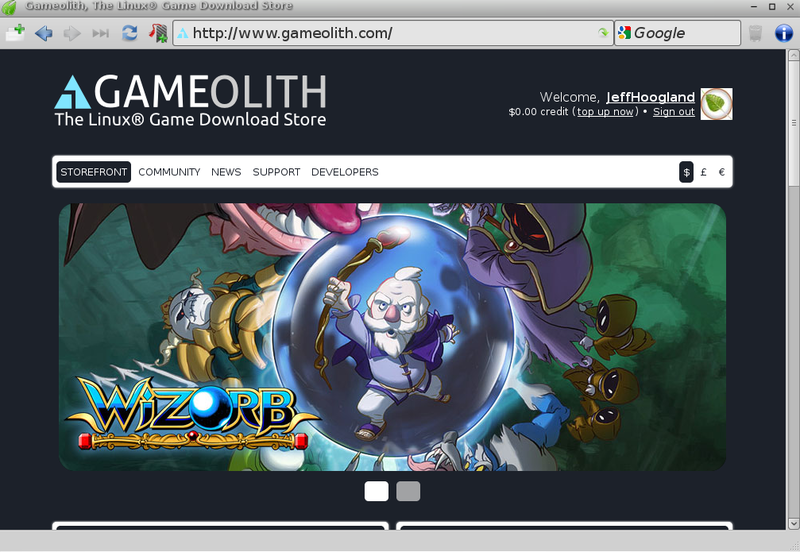 You can also load the image onto your card via a GUI if you are into that sort of thing. Please note this command may take five minutes or longer to complete. 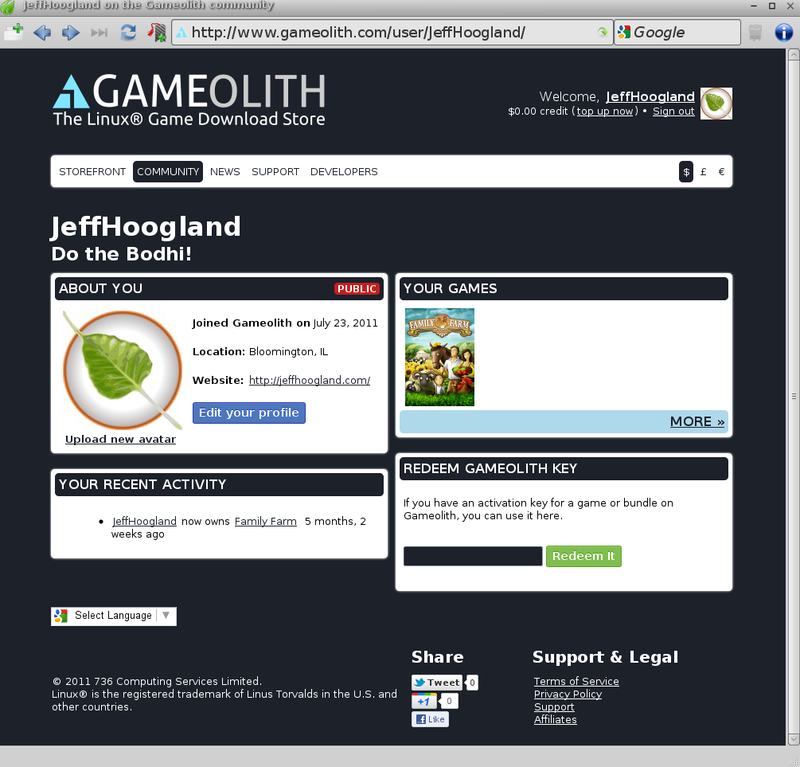 Once you get the system online the user name is "bodhi" with password of "bodhi". Sudo is setup for this user by default. Next on my ARM todo list is to get our App Center working and putting together a formal tutorial for getting Bodhi running on the HP Touchpad. 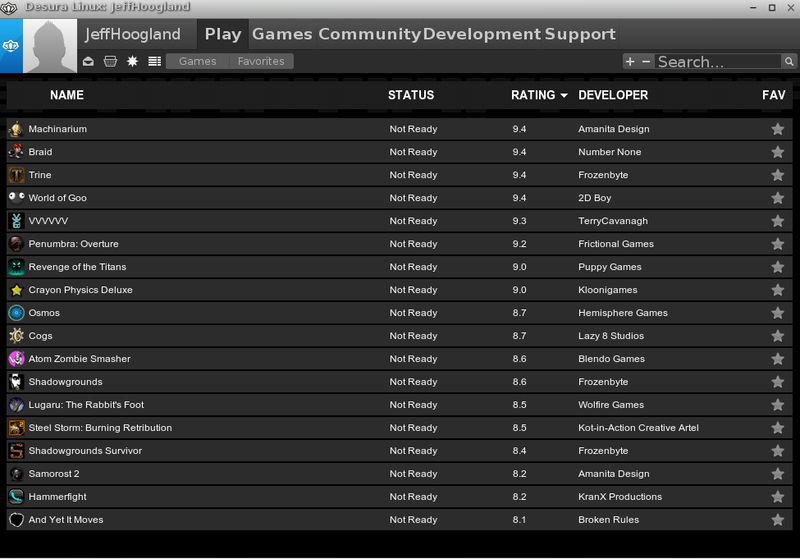 Finally, if you run into any issues please let us know in the Genesi section of our forums. I say these notions are foolish because they imply that Microsoft is doing something that isn't already being done. Do these people have any idea how many Linux based ARM devices don't allow dual booting? Do they have any idea how many Linux based ARM devices exist, were even if you can dual boot them they lack hardware functionality in alternative operating systems due to closed source drivers? Before you tar and feather me for not jumping on the Microsoft bashing bandwagon - please stop and count the number of ARM devices you've tried to install an alternative operating system (such as Debian) on. Personally, the number of different pieces of hardware I've worked with is into the double digits now. Do you know how many devices I've managed to get full functionality out of? Thats right, until I'd recently started working with the Genesi Smartbook alternative operating systems were always crippled on the various ARM devices I owned. If you can prove me wrong here - really, please do! I would love to have more ARM devices that I can run Linux on fully. So maybe, just maybe, the open source news media needs to stop and take a deep breath and realise that the ARM platform as a whole is a giant mess with regards to software freedom. Microsoft isn't doing anything new here - they are simply following in the footsteps of companies everywhere of creating locked down mobile devices. So please, if you are going to continue calling out Microsoft as the ARM anti-christ please be sure to include all those other companies involved with ARM that also hate software freedom. Genesi currently offers two products with the EFIKA mx51 ARM board. They are the SmartTop and the SmartBook. I own one of their SmartBook models and today I would like to do a comprehensive overview of the device. The size of the Smartbook is exactly what netbooks where intended to be when they where first created. It is thin and lightweight while still being a functional tiny laptop. The device weighs just under 1 kilogram and has a form factor of 160x115x20mm. 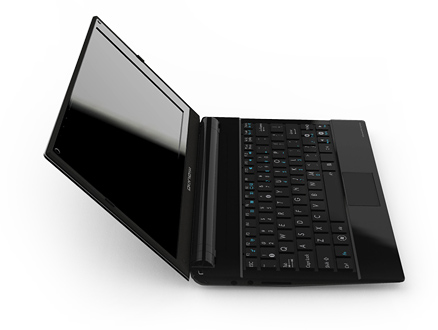 The Smartbook sports an 800mhz ARM processor, 512MB of RAM and 16gb of internal storage. One of the benefits of being an ARM chip is that the Smartbook is fan-less - making it silent while running. For wireless connectivity the device has b/g/n support for wireless networks, as well as 2.1 + EDR for bluetooth and optional 3g support. In terms of ports the Smartbook has two USB jacks, SD card slot, micro SD card slot and an audio out port. The screen is your typical 1024x600 resolution you get on most 10" netbooks to date. The keyboard on the Smartbook is easily the best keyboard I have ever used on a 10" netbook. It has a full six rows of keys and takes up over 90% of the width of the device. It is a chicklet design so typing is a smooth and easy process. The track pad in contrast to the keyboard might very well be the worst track pad I've ever used on any netbook or laptop. It is tiny and the left/right click buttons are awkward to press down. Thankfully it has the saving grace of being able to left click by simply tapping on the pad. Holding a left click and moving the mouse is a painful process though. The hardware in the Smartbook isn't going to break any land speed records, but then again if you need some serious computing power odds are a netbook isn't for you. 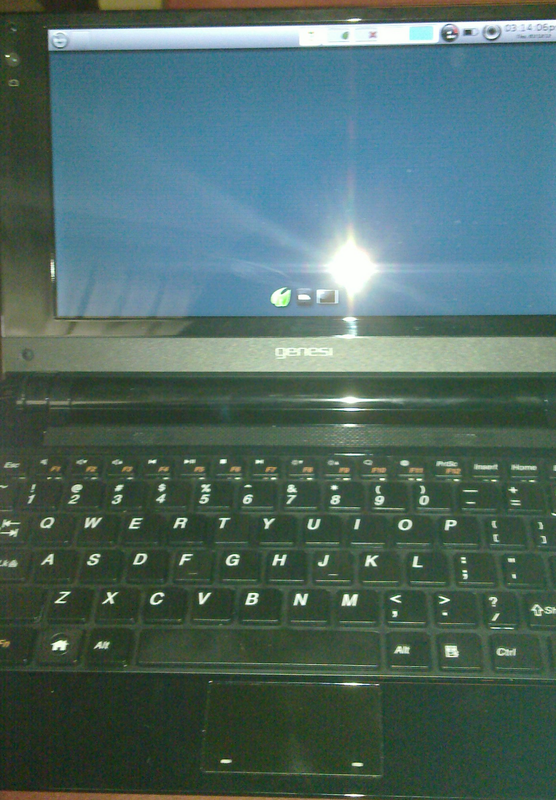 The Smartbook comes with Ubuntu 10.10 as it's default operating system. 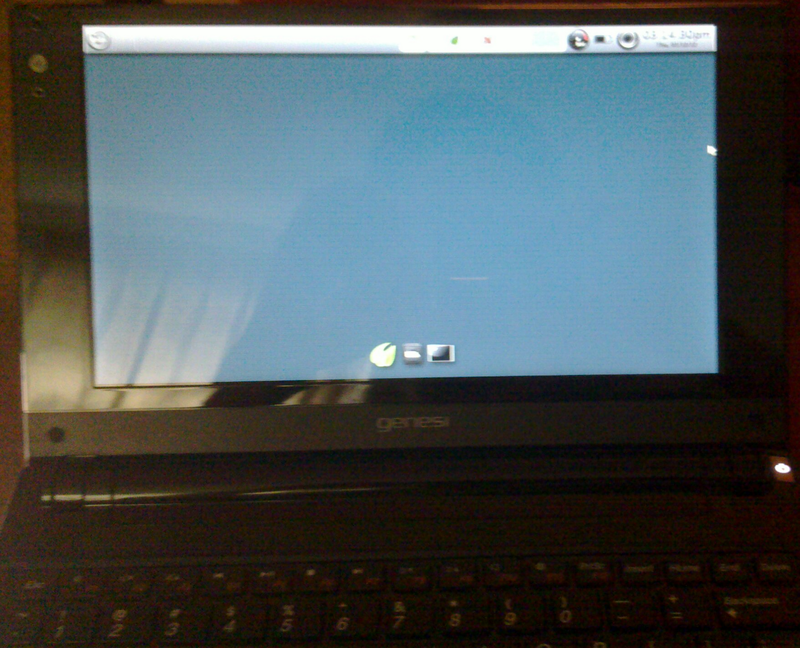 Honestly the default Gnome 2 desktop is a bit sluggish on the Smartbook hardware. 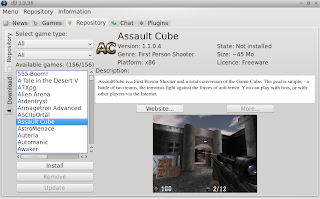 Thankfully the power of the Ubuntu repositories is at your finger tips and you can very easily install LXDE or some other light-weight desktop of your choice. Because the Smartbook is an ARM device, some closed source technologies (such as Adobe Flash) do not support it. If you are not a fan of Ubuntu, fear not - because the Smartbook is easily one of the most open source friendly ARM devices currently in existence. I just recently published a guide for getting Bodhi running on the device. Beyond this I know other people have had success running Debian, Arch and Gentoo on the Smartbook. One of the most important questions with any netbook - what is the battery life? Due to it's ARM processor the Smartbook sees far better battery life than any other netbook it's weight. On a full charge with average usage the Smartbook sees between 6 and 7 hours of battery. The battery itself is also easily removable/replaceable. One of the most attractive things about the Smartbook is it's price tag. The Smartbook will only set you back 199 USD. Not a bad price at all for this little guy. I've had my Smartbook for a couple of months now and all in all I am very pleased with it. In fact the only thing that I dislike about it (and was mentioned above) is the trackpad on it. This really isn't a huge deal though as I've taken to carrying around a small USB mouse for when I need to do a good deal of mouse work - which isn't often. Whether or not the Smartbook is right for you is something only you can decided. If you are looking for something light, portable and a very good battery life - there is no beating the Genesi Smartbook. You really don't know how good something is until you don't have it any longer. This is a statement that is very much the truth. I started a new graduate assistant position this week at Illinois State University. I will be doing a variety of tasks in this position and some of them involve work on the computer. The operating system on the computer I will be working on? You guessed it - Windows 7. The last time I used Windows full time XP was still still the latest stable Windows release (cause lets be honest, I don't consider Vista a stable release). Kubuntu 7.04 was the first Linux LiveCD I ever burned and I haven't looked back since. Its amazing all the little things you miss when you don't have them any longer. Only to realize I couldn't. Wait, there isn't a package manager? Comon - even the smart phones most people carry around have a "App Store" which is really just a front end for package management! Sure, I could just search for whatever application I wanted on Google - but installing applications that have access to system data from random internet sources just doesn't seem terribly safe. The biggest annoyance I ran into (and someone please let me know if I can make Windows 7 do this)? alt+left click to move a window. 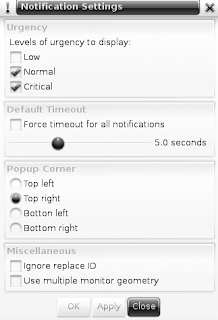 I didn't realize how often I used that when pushing applications around on my screen. It just feels terribly inefficient to have to move the mouse all the way to the top of an application to relocate it on the screen. It's really funny the things you don't realize you have gotten used to having. Needless to say the 20 hours a week I will be working on campus for this next year will be a trail in patience with technology for sure. I mentioned a short while ago that Genesi had become a Bodhi affiliate. They sent me one of their Smartbooks to get hacking at and today I would like to share my first batch of public files for it. The following is a short HOWTO for getting a Debian Wheezy file system with the Bodhi Enlightenment desktop running on your Genesi Smartbook. 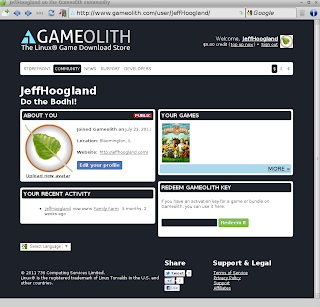 Two archives contain everything you need to get Bodhi rolling on your Smartbook. Grab the latest rootfs and boot partitions from here. 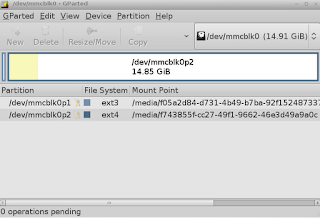 Place the boot archive in the ext3 partition of your SD card and extract the files there. Place the rootfs archive in the ext4 partition of your SD card and extract the files there. 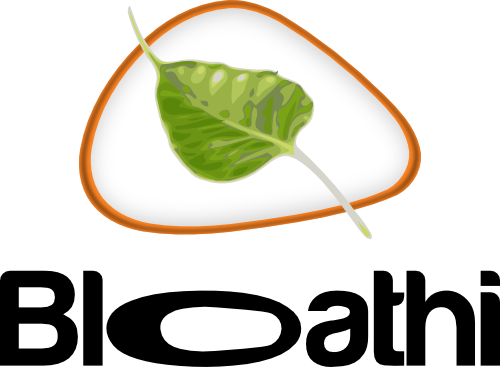 The bodhi account is configured to be able to use "sudo", but a root account is also in existence with a password of "bodhi". If you figure out a fix for either of these please pass it along! If you encounter an issue getting Bodhi setup on your Smartbook please do not leave a comment here about it. Instead open a thread in the Genesi Section of our user forums. Finally here are a couple of slightly terrible photos of Bodhi booted on my Genesi.